MHG Heating is one of the UK’s leading providers of sophisticated heating systems and components for oil, gas, ambient heat and solar heating. We offer a wide range of heating solutions for businesses, whether you need Gas or Oil condensing heating we have a solution to fit your budget. 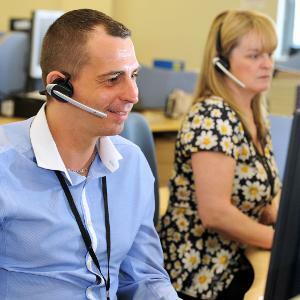 Our specialist team are ready to answer any questions you have please call us on 01737 358000 or 08456 448802 or click here to email. 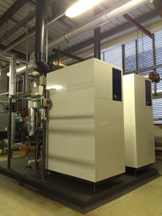 MHG Gassero recently introduced, the Ultrabox range of gas-fired condensing boilers is available in capacities from 210kW to 1125kW, with cascade capabilities for up to 16 units. Ultrabox boilers feature a fuel engineering related efficiency of up to 110% and 8:1 turndown capability and are suitable for a wide range of flow rates with low pressure drop. NOx levels are low, at 34mg/kWh. MHG Gassero’s new Superbox commercial gas condensing boilers with stainless steel heat exchangers deliver up to 106.4% net efficiencies with Class 5 NOx levels, backed by a five-year warranty. 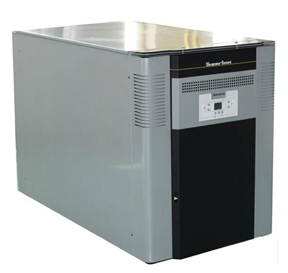 Superbox boilers are available with heat outputs from 160kW to 1,060kW and feature pre-mix combustion technology, as well as a high modulation ratio to ensure that high efficiency is maintained at variable heat loads. 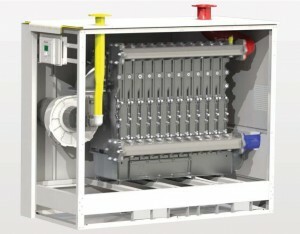 Superbox boilers can also be combined in cascades of up to 16 boilers for maximum flexibility. 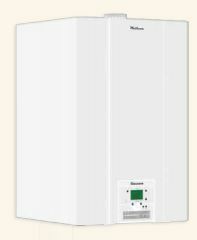 MHG Gassero’s new Low NOx (Class 5) Wallcon wall-mounted gas-fired condensing boilers are available in 42kW, 50kW 67kW, 115kW, 125kW and 160kW capacities, with the ability to combine up to 16 units in cascade configuration. Further flexibility is provided by a fully modulating pre-mix burner with up to 7:1 turndown capabilities. They are available with matched mounting frames and cascade hydraulics including low loss headers or matched system separation plate heat exchangers. The range features built-in frost protection and time control, with direct BMS connectivity and remote monitoring options. ProCon HTP range of gas-fired condensing boilers feature integral plate heat exchangers to separate the boiler from the distribution system. 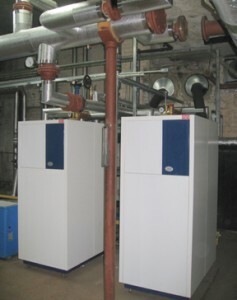 As such, they are ideal for retrofitting high-efficiency (98.1% gross seasonal efficiency) boilers to existing systems, as required for boilers below 400kW under current regulations. 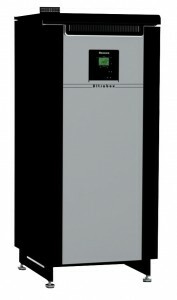 There are two models; the ProCon HTP 150 comprising 2 x 75kW modules and the ProCon HTP 225 with 3 x 75kW modules. These can be combined in cascade configuration to deliver higher capacities, using fully modulating burners and integral controls to provide efficient response to varying heat loads.